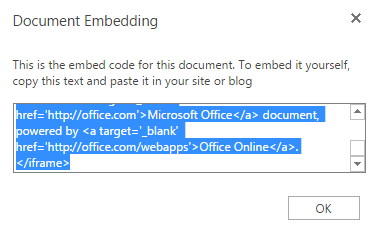 Welcome to an article on ‘How to Embed Word Document contents on a SharePoint Page in Office 365 & SharePoint 2013’. Our client sometimes wants to attach their documents to their pages so when they do some change on the content of the word file, it will reflect on the page. This is an awesome functionality for users to update their page without playing by editing the content on the web parts. So for us developers, rather than pointing to a third party tool, we have that on our own SharePoint 2013 and on Office 365. 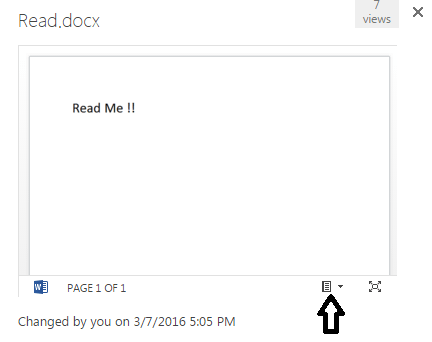 Click on the Menu dialog option for the selected word document. You will see the preview screen below. 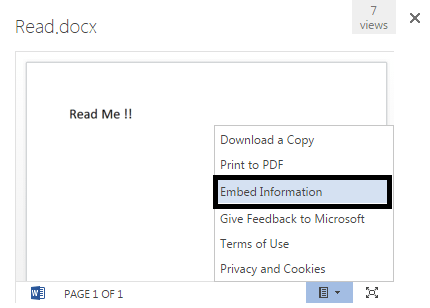 You will see a pop-up as per the screen below with an option, “Embed Information”. Click on the option and you will the screen below, Copy the embedded code. b. Go the gear icon and click on Add a page. Provide a name for the page. You will be directed to edit the page as per the screen below. 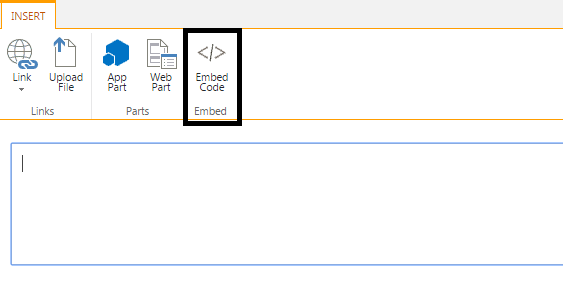 Click on the ‘Insert’ Tab and choose Embed Code as per screen below. It will open a dialog box, paste your copied code here. You will see the preview below after pasting the code. 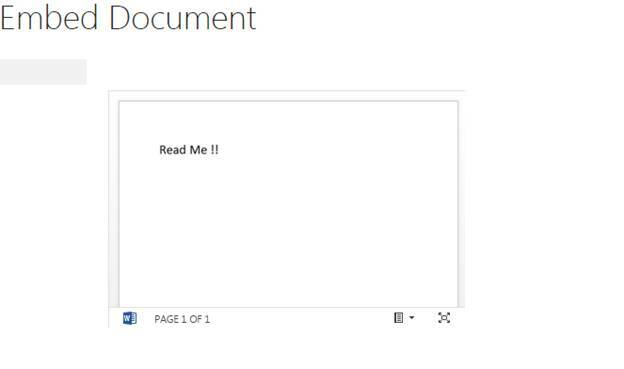 Your page will save and you will see the below page embedded with the document. Isn’t it awesome? 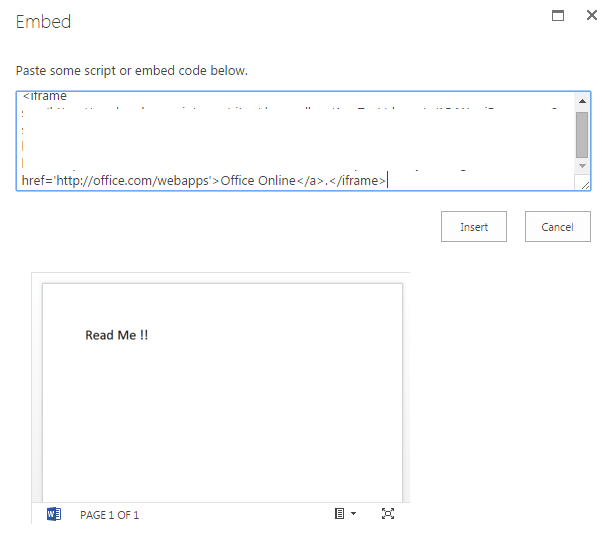 You get your word document content on a page in a quick way. Keep learning!